I’m not interested in the Nintendo Labo, but the Nintendo Labo hasn’t been built for me. It hasn’t been built for you, either. These are toys built for children, from a company that has always proudly put children first in its projects. 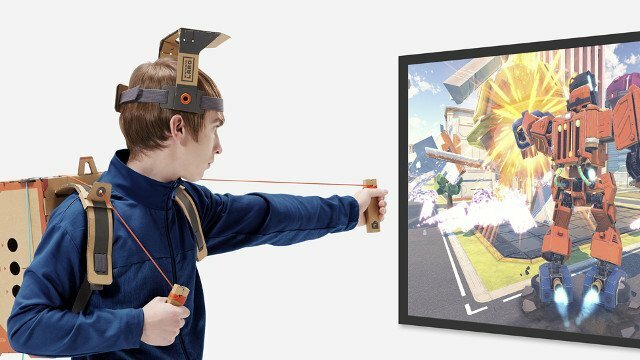 Nintendo Labo isn’t for some guy in his late twenties, despite much of Nintendo’s “kid-friendly” output also appealing to the older gamer. Those treating it as such, and ridiculing Nintendo for its cardboard gadgets, seem to have forgotten what it’s like to be a kid. If you were a child whose parents didn’t have MTV cash and couldn’t afford to buy you every present under the sun, then cardboard became your ticket to building the toys you wanted. When I was a kid I made a Batmobile out of a horde of boxes, turning my makeshift and immobile vehicle into an increasingly elaborate contraption as I was given more materials. One of my most distressing earliest memories is that Batmobile being thrown away after I refused to part ways with it, and it began to take up a considerably large part of my parents’ kitchen. I remember building forts, too, placing my plastic army men in giant castles made out of toilet roll, and spending an inordinate amount of time crafting a functioning drawbridge using bits of paper. I was proud of these inventions, even though with the benefit of hindsight, they were each terrible and forced my mom and dad to find more storage space that we didn’t have in our small house. 8-year-old me would be blown away by the Nintendo Labo. It isn’t “just cardboard” in the same way that Lego isn’t “just plastic” — it is material used to facilitate the creation of something much larger, much more imaginative than the sum of its parts. It’s an off-the-wall concept, sure, but so is pretty much every idea Nintendo has had since entering the video game industry. Like Pokemon cards, or Tamagotchi, or Furby, it’s an odd idea that is going to force adults to scratch their heads, only this time around we’re the adults doing the head-scratching. One of the biggest points of contention I’ve seen has been the Labo’s price point. For the Variety Kit, which includes the Toy-Con RC Car, the Toy-Con Fishing Rod, the Toy-Con House, the Toy-Con Motorbike and the Toy-Con Piano, it’ll set you back $70. The Toy-Con Robot is a separate kit that will retail for $80. Each kit also includes the software that pairs with the cardboard contraptions. Apparently, this is too expensive for what cynics believe amounts to a few pieces of cardboard. Despite this cardboard providing the same function as a model plane, or a Warhammer figurine (and let’s not forget how extortionate those things are), the Labo is apparently the straw that has broken the camel’s back. I’ve seen this opinion repeated on Twitter by individuals who have previously found no problem with purchasing objectively awful collector’s edition video game statues for double the price. 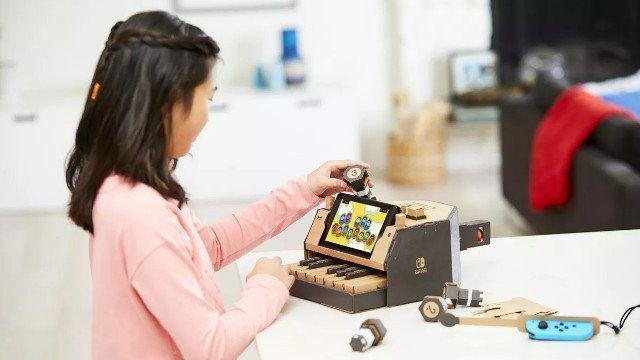 Nintendo catching flack for explicitly marketing the Labo to children is a depressing development. I’ve seen the opinion bandied about that Nintendo has only recently managed to win back the older crowd after the Wii U, and that moving from the likes of Breath of the Wild to Labo is a step backward. It is this disdain for inclusivity, this unwillingness to accept that games should appeal to anyone other than the “mature” gamer that stifles creativity. The adults are being selfish with their toys again.